Get the most out of your Remediation Contractor! 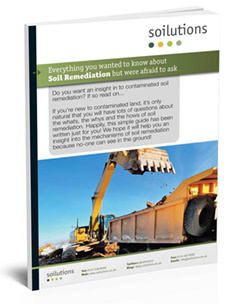 Do you know how to get the most out of your remediation contractor? If you have land, or water for that matter, which you strongly suspect is contaminated, we would recommend getting a remediation contractor involved before any investigations have been planned or carried out. We see 100’s of reports a year from many different consultants, passed on to us to price and/or give remedial options assessments. You won’t be surprised to know that remediation contractors also have a depth of experience remediating contamination from contaminated soils to groundwater. We use this experience to advise on what to look for when planning the site investigation so that there is enough information when it comes to pricing the remediation. This can save you money later down the line when the need for further investigation is minimised/eliminated. Luckily clients who seek the above advice do exist. Why don’t you join them? We’re happy to provide initial advice and direction free!